Like any English Major worth their salt...or maybe like any stereotypical English Major, I love Jane Austen and all of the Austen Land spin-offs. I'm also a Bronte fan and have read more Jane Eyre retells than I care to count. So, when Bethany House listed First Impressions: A Contemporary Retelling of Pride & Prejudice in their options for review, I immediately opted in. I can read pretty much anything, and I'm a fast reader, but this...I just couldn't get past the first fifty pages. Dave (Darcy) is a mysterious business man who doesn't want anyone to find out his real identity (I didn't stick around long enough to find out what that is). He lives with his lovely Aunt Maddy and designed his mega-mansion to her specifications after he had to save her from financial ruin when her husband died and left her penniless. Eddi (Elizabeth) is a new(ish) transplant to the quaint town of London, Texas. She's a well-educated lawyer trying to prove herself in the macho town. Her sisters are either more beautiful than her or undercover alcoholics, but their parents have their hands full. 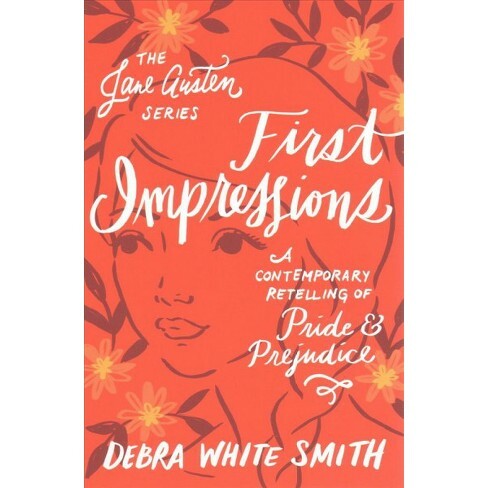 The story itself centers around Aunt Maddy's dramatic production of Pride & Prejudice, which, since a tornado destroys the town's theater in the first pages of the book, will be performed as a dinner theater. Of course, Dave and Eddi are cast as Darcy and Elizabeth. Dave tells his friend, Calvin, who he really doesn't want to find out about his true identity, that Eddi "would need to be way more classy to keep my attention for long," and also complains she's too short. As expected, Eddi overhears this and keeps wanting to get with Dave. Still, the two just can't explain the heat between them. I mean, who wouldn't want a man who thinks you aren't classy, objects to your height, or lack thereof, and desperately doesn't want you to find out his real job. He also hides in his man-shed throughout the first play rehearsal and calls his own character "Darby." That's a Texas-catch if I ever read about one. The original tale showed us the faults in some antiquated systems around marriage and love, but this version shows a self-made woman who just can't help falling in love with a jerk. Why???? Let's just not. But...if you hear of any other Austen remakes, I'm game to at least give them a try, because I'm that reader and that English major. I grew up in incredibly diverse neighborhoods. I have no close white friends from college. My parents grew up around the world, and my dad was an Ethnic Studies major in college while I was growing up. And still? I wondered what the black men who the police killed must have done before the police killed them. What were they guilty of? Surely, they had done something that triggered this kind of response. I looked for the evidence that these men were innocent; I sought it out. Just like the characters in Angie Thomas's novel, I believed the media's stories about drug and gang connections, about behaviors that are just "asking for" that kind of police attention. I am an educated, experienced, knowledgeable teacher who still got drawn in by the media's version of the truth. Despite diverse neighborhoods, diverse friends, and working with a diverse community, I am still guilty. 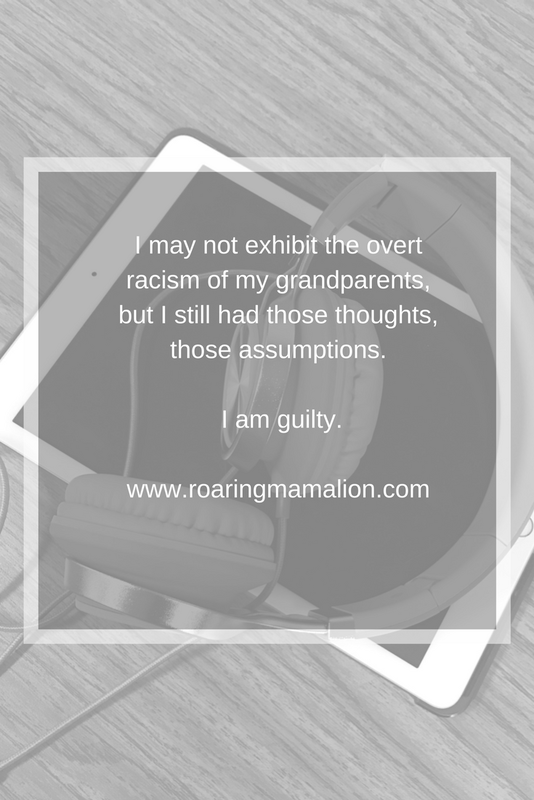 I may not exhibit the overt racism of my grandparents, but I still had those thoughts, those assumptions. And the irony of it, is that even though my dad had a career in law enforcement, I have a lifelong...discomfort...around police officers. As a toddler, yes a toddler, I witnessed a police officer dragging a boy up the escalator in the mall by his ear. And so cemented a lifelong discomfort bordering on fear. I wouldn't look at my dad in his uniform when he came home - he had to change first before I would hug him. And still. I made assumptions. And I couldn't face that until I read this book. I don't know what's next. I did join the "Showing Up for Racial Justice" Facebook Community in my area. I'm reading. I'm gathering information. I've missed a lot in 30+ years of not paying enough attention; so, this will take time. Let's forget that I was raised by two married parents, who'd known each other since adolescence. Let's forget that my parents owned a home by the time I was four. Let's forget that both of my parents (eventually) went to college. Let's forget that I went to private school. Let's forget that both of my parents were always employed or in school. Let's forget that I had my own car four months after I turned 16. Let's forget that we always had food. Let's forget that I attended a public ivy. We were not always financially secure and often bought clothes on layaway. My dad worked 70+ hour weeks at a stressful, dangerous job. The homes my parents owned were in neighborhoods where, with the exception of Halloween, we didn't go out at night. For much of my early childhood, family arguments and violence, largely in my mother's parents' home, were a real and frequent threat. My appearance, behavior, and the fact that I went to different elementary schools than my peers, meant that I often dealt with bullying, taunting, and cruelty. I just finished reading The Hate U Give by Angie Thomas, and I had to do some serious thinking about how I few my own struggles. It almost doesn't matter how many struggles I put on that list, because the color of my skin grants me a privilege I cannot ignore. Like Starr Carter, the main character in the novel, I had a vastly different background than most of my peers at my private high school (which was far from the elite school Starr attends but was still private). But that's about where the similarities end, and I can't fit my story into hers. Even living in less-than-savory neighborhoods (yes, we knew the streets to avoid wandering down because of gang presence), I never actually feared for my life...but I know people who did. And, you guessed it, they didn't have white skin. I'm still wrestling with what to do after reading this book. There's something about the story, about Ms. Thomas's writing, that drives home something I haven't been able to grasp in the news stories. 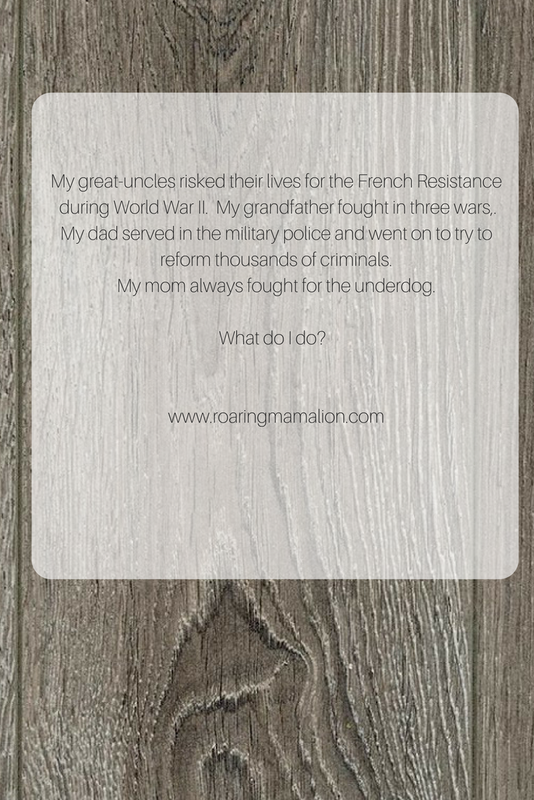 My great uncles risked their lives for the French Resistance during World War II. My grandfather fought in three wars, three. My dad served in the military police and went on to try to reform thousands of criminals. 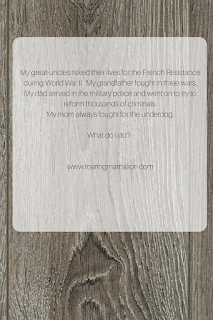 My mom always fought for the underdog. 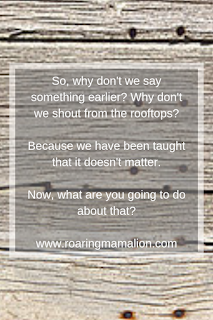 I like to think that my power, my path to making a difference is in teaching. I hope that's true...but...this year? I've had some students who do not, shall we say, bring out the best in me. I have this skin. I have these degrees. I have this knowledge about what's right and wrong. For now, I write this. And then, I find ways to right what's wrong, to forge a new world. I don't have answers, but I have hope...and I have a voice. I used to give up candy and then binge on bags of peanut M&Ms on Easter Sunday. Once, I gave up gum and ended up not chewing it again for two years. I've given up soda and dessert. As an adult, I've given up alcohol. I have made these physical "sacrifices," but I prefer to take action, to do something rather than give up something. Lent 2018 has snuck up on me - it begins next week, on Valentine's Day, in fact, and I needed to sit down and think about how I will honor this sacred time of year. In our church, we often talk about working inward and working outward. I like the feel of that, and so I have two focuses, one about my mindset and one about turning outward to my community. Over the past half decade and change (since a certain tiny human made his appearance), I have not necessarily focused as much as I would like on my husband. We go on date nights. We try to have time together, but, especially in the last year, I realize that a part of me has almost ignored him. 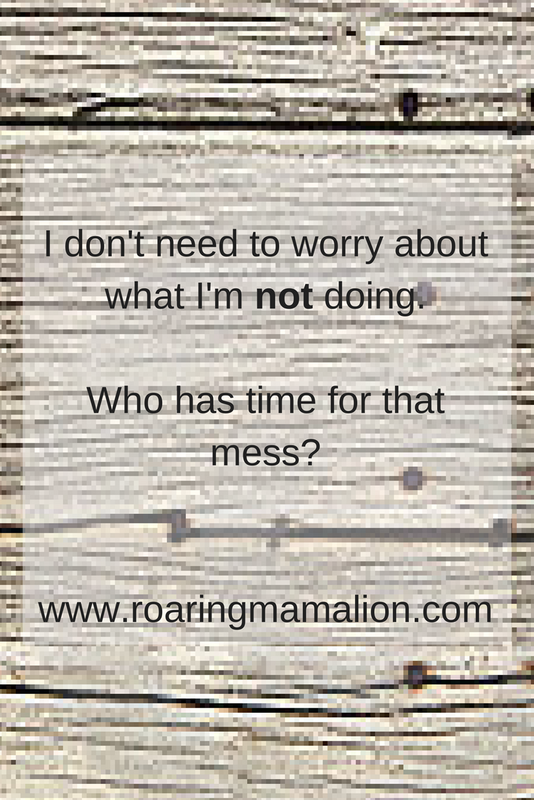 We've gotten caught up in the busy-ness of life. 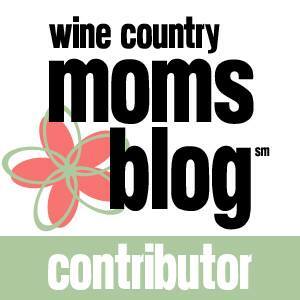 We talk about home repairs, about school choices, about weekend plans. I've slowed down to work on myself, and as the fog has cleared, I can see my husband there, patiently waiting. 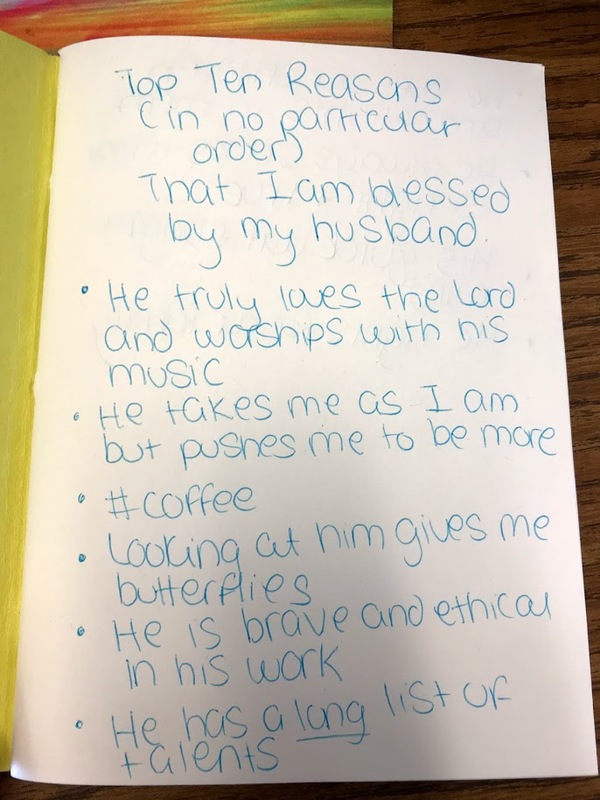 In January, I decided that I need to jump back into focusing on building my faith, and the first study I completed was Five Days of Praying for My Husband. Towards the end of the plan, I was prompted to make a list of the ten top reasons my husband blesses me. 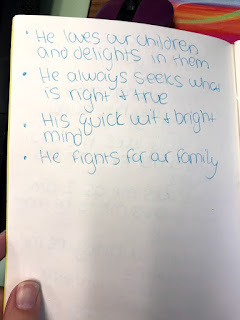 After I wrapped the brief devotional, I browsed through the additional resources and found Thirty-One Prayers for My Husband. Once I realized that Lent starts next week, I decided that this book would focus me during this season. 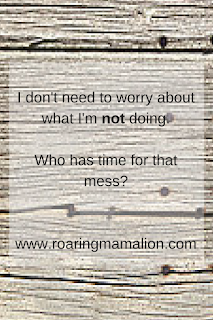 I enjoyed taking a structured time to focus on my husband, and I want to build on that. Over the span of just a few years, we needed a lot of help. We bought our house and started making it our own. We had two energetic kids, including one who still would prefer to never sleep. We began truly building our careers. I lost my mom. Our community gathered around us and helped. 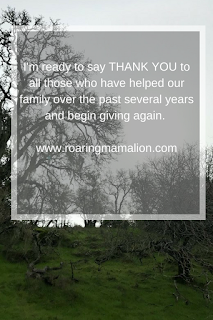 For the first time in a long while, I feel ready to start giving back with more than a quick donation. And so...forty days...forty acts of service. I am certainly open to suggestions, and I am aware of my own limits. I want to start small, but I want to start. For now, the ideas only involve me, but it would simple to bring my children, especially my kindergartner son, into this spirit of giving of ourselves. I've opened this up to my small book club, and I'll share on social media. I want to hold myself accountable, get ideas for opportunities to serve, and build community in the process. 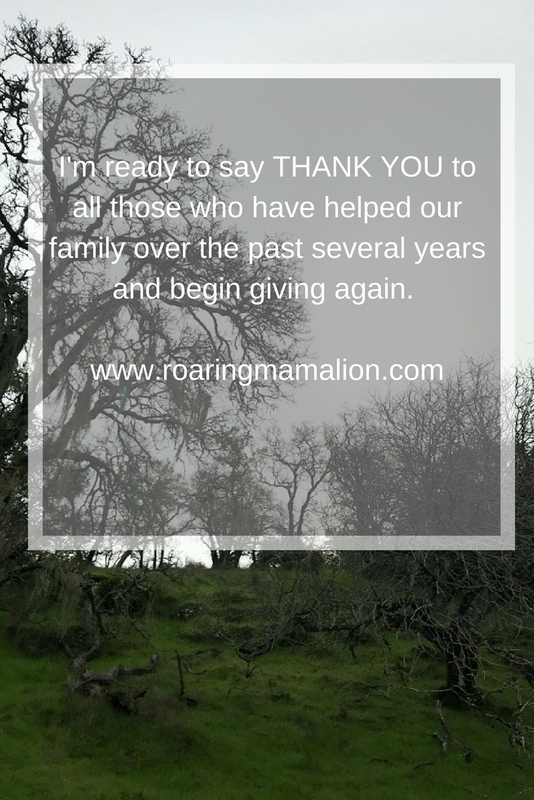 I'm ready to say THANK YOU to all those who have helped our family over the past several years and begin giving again. With these two plans in place, I feel ready to observe this holy time. How will you focus during this Lenten season? A year ago, I would not have bet money on pumping up a paddle board and setting out to meet a friend in the middle of the Napa River. But it actually happened. I pumped up my own board and had a wee adventure - one I hope to have again and again. On the way back from that adventure, I suddenly felt the full force of the joys in my life. I have a wonderful husband, two rambunctious kids, and I had just spent the afternoon on the river with a fantastic friend. I have a fulfilling job. I love my home. I could go on. I could list all of my blessings, and I did, and I felt overwhelmed with joy. 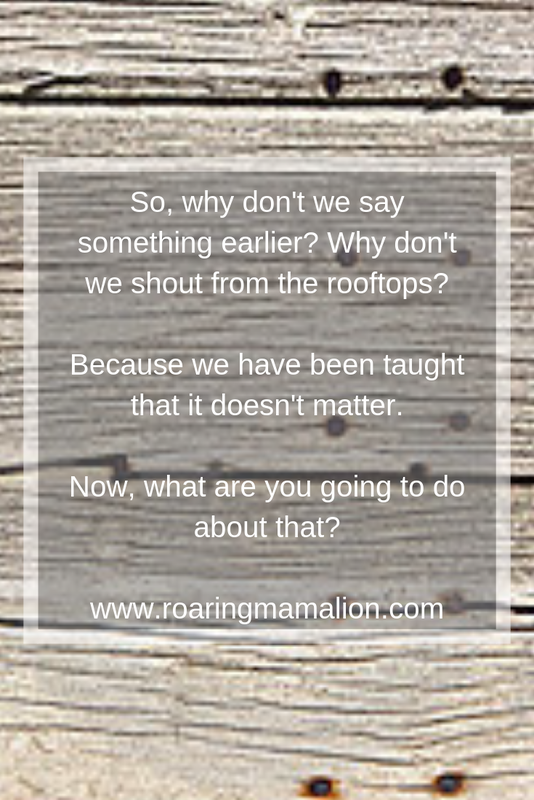 I felt like a little piece of time had opened up, and I could, just for a moment, whisper back to my 17 year-old-self, wrestling with all of the 17 year-old drama, and say, loud enough to be heard through time, "It gets better. I promise you that it gets better." After that moment of time travel, I thought, "I have a lot to lose." I want to keep this life full of love and light - a life that takes effort and prayer and intention. A life that did not come easily. Keeping my life means keeping up with my health. After my daughter's birth, I had my first genetic screening for Breast Cancer, which revealed a 35% lifetime risk of Breast Cancer. Last week, I got the results for a more targeted test through Myriad. Thankfully, my lifetime risk has gone down to just under 30% (thank you, breast feeding! ), and my doctor offered me several precautionary tips. She put me on a new regimen of vitamins and prescribed 30 minutes of exercise daily. 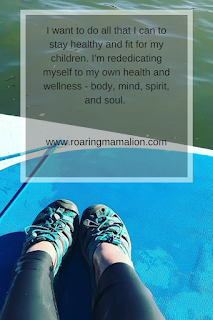 Adding more exercise into my life isn't a huge change, given that I fully believe that a healthy life makes for a happy wife, but I took this to truly mean that paddle boarding is now prescribed by my doctor. I want to do all that I can to stay healthy and fit for my children. I'm rededicating myself to my own health and wellness - body, mind, spirit, and soul. Keeping up with bi-annual intensive breast cancer screening. This list may sound like another version of "do all the things," but each one, individually, nourishes and refreshes me. I am working to keep the blessings I so longed for as a teenager and young adult. I realize the weight of the blessings, and I value them beyond measure. I will do everything in my power to keep this life. And I'll probably color my hair...just for the joy of it.